The Daily Nails #5 | Becky Alyssa's Beauty Box. ‘colour’, being British & all) – I got this from a random stall in the Florida Mall and the sparkliness drew me in. It’s a sheer purple colour with a ton of holographic glitters in, so I layered it over the purple shimmery OPI Ink for a more opaque finish. 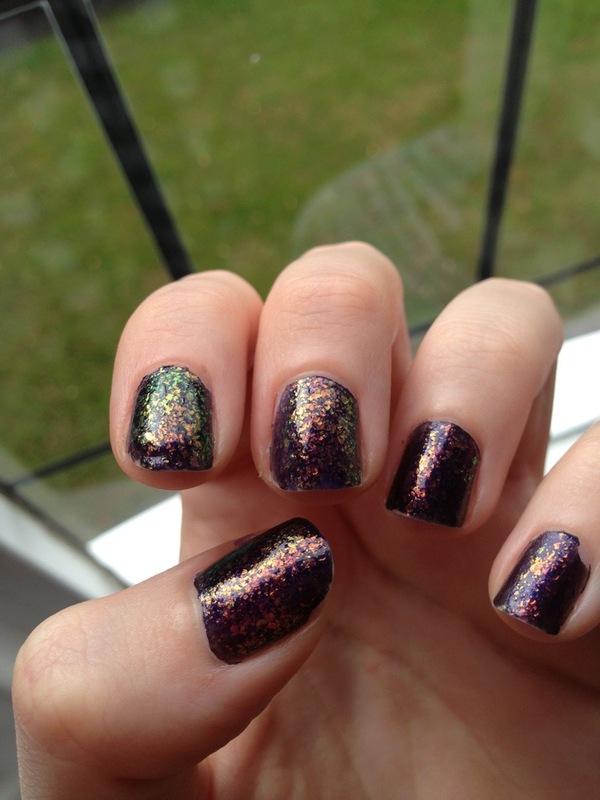 Shame about the weather – I’d love some sunshine to be able to show off this shade in its full sparkly glory!